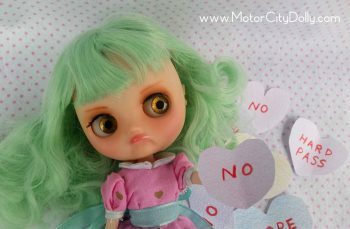 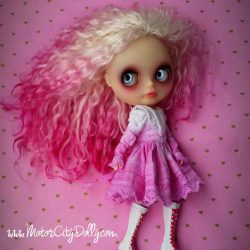 Flossie is a custom OOAK Middie Blythe Doll by me, Sandra Coe for Motor City Dolly. 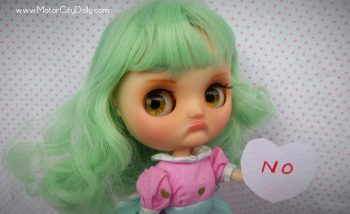 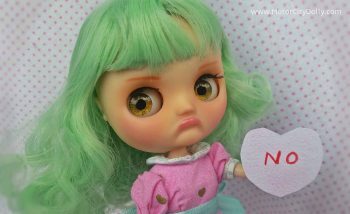 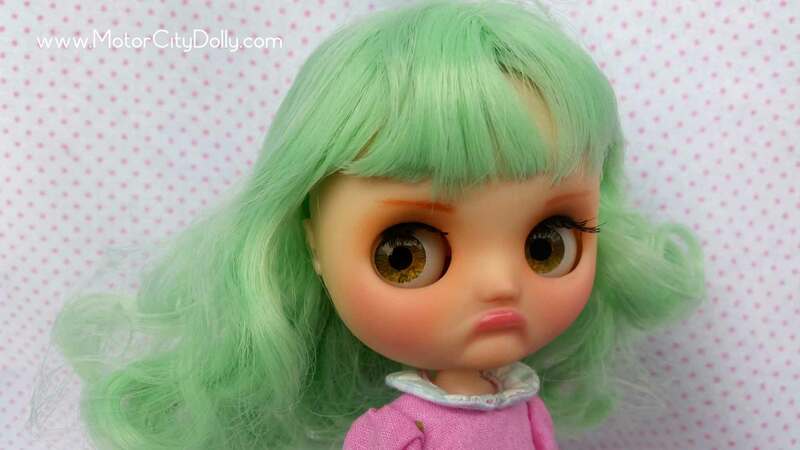 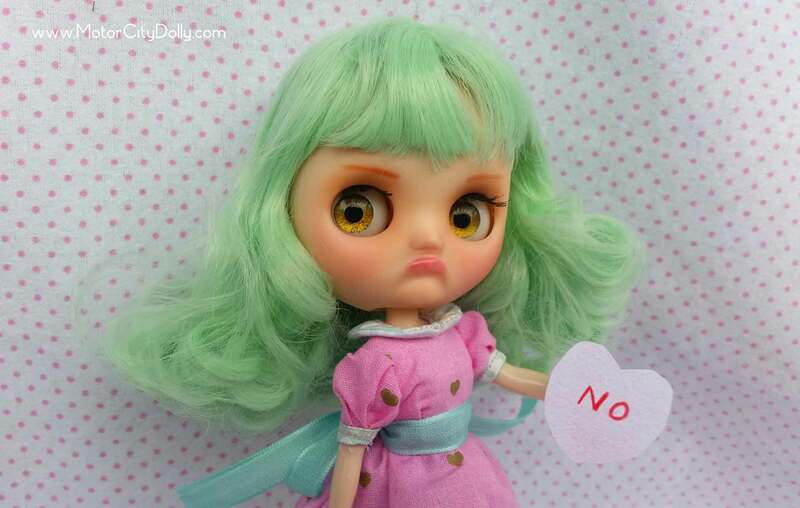 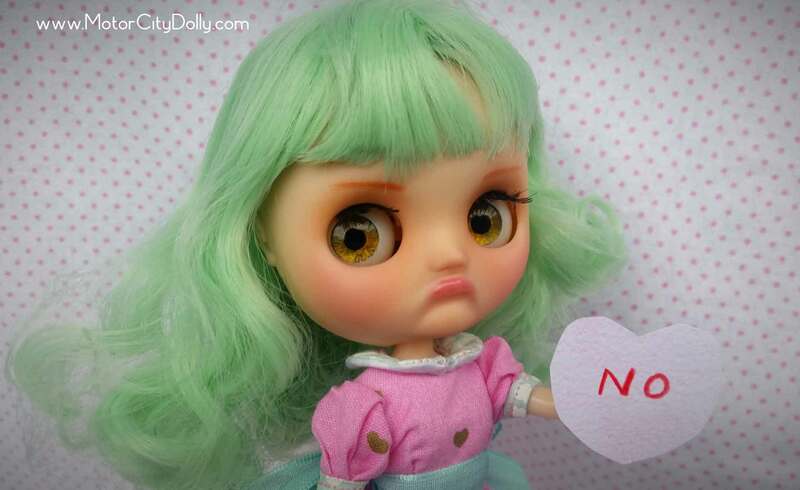 She is my 67th custom Blythe. 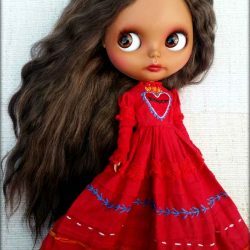 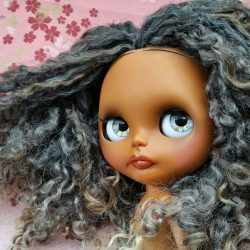 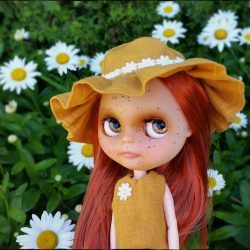 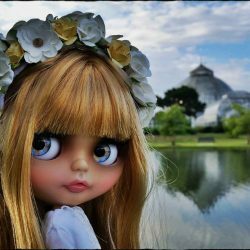 Flossie’s base doll is a factory Middie Blythe measuring 8″ tall, and she has a wheel device on the back of her head that allows her eyes to point forward and side to side. 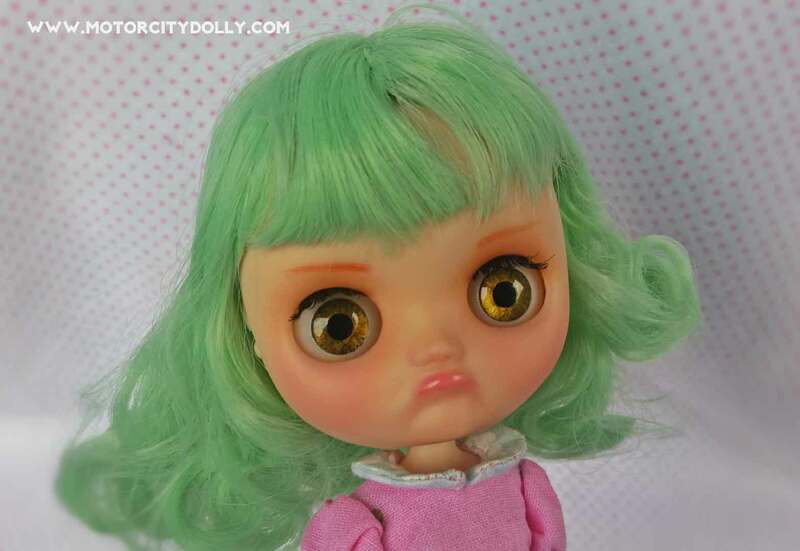 -Face and back plate have been sand matted. -Face has been carved, and all new makeup has been applied using soft pastels and acrylics, then sealed with Mr Super Clear UV Flat Spray. -Eye chips are hand painted in golden brown tones. -Minty green hair cut and styled. 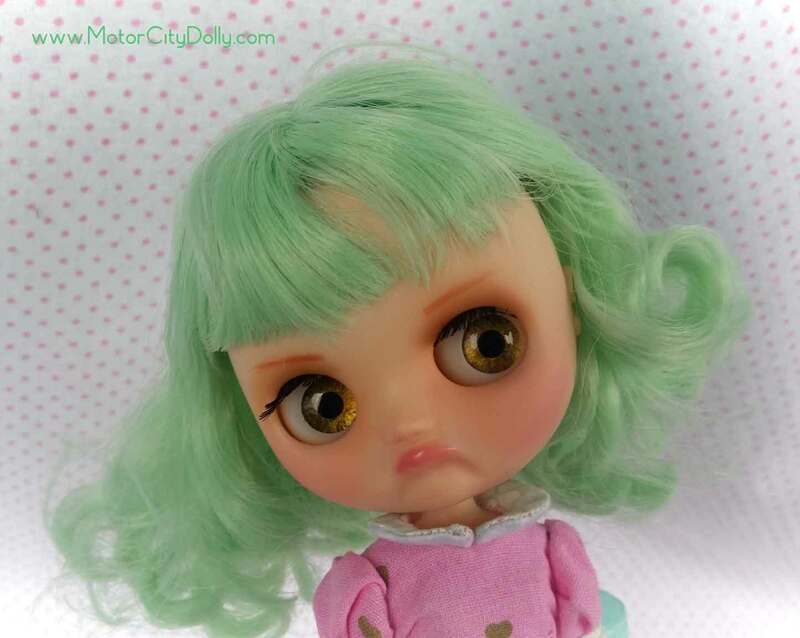 -I’ve sewn her outfit, consisting of dress, petticoat, and socks from a Dolly Bird pattern. 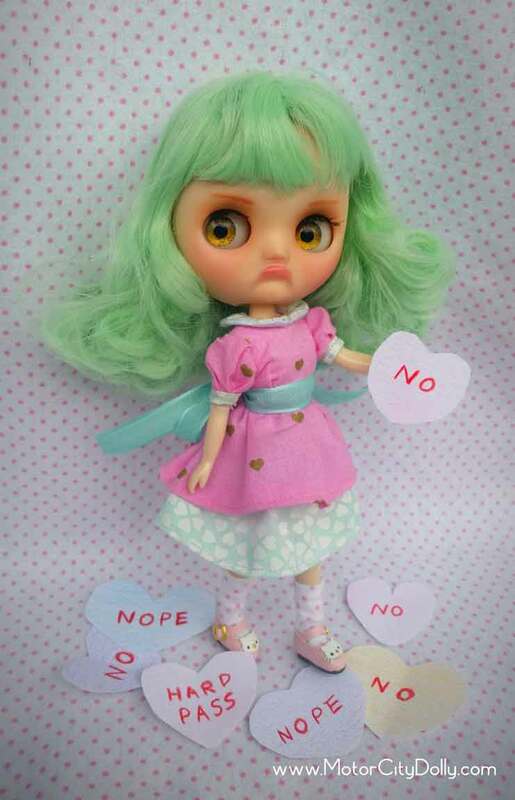 Her pink leather Hello Kitty shoes are included. 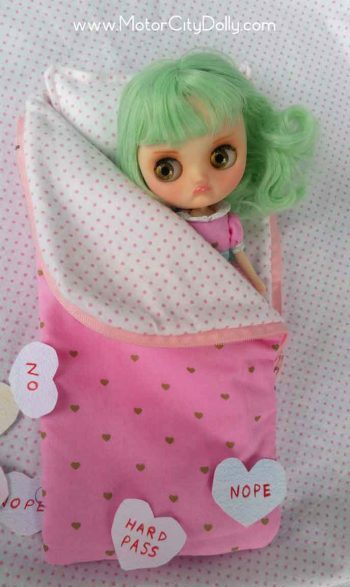 -Flossie will travel securely packed in her own sleeping bag carry case, which is lined in softest flannel to protect her face. 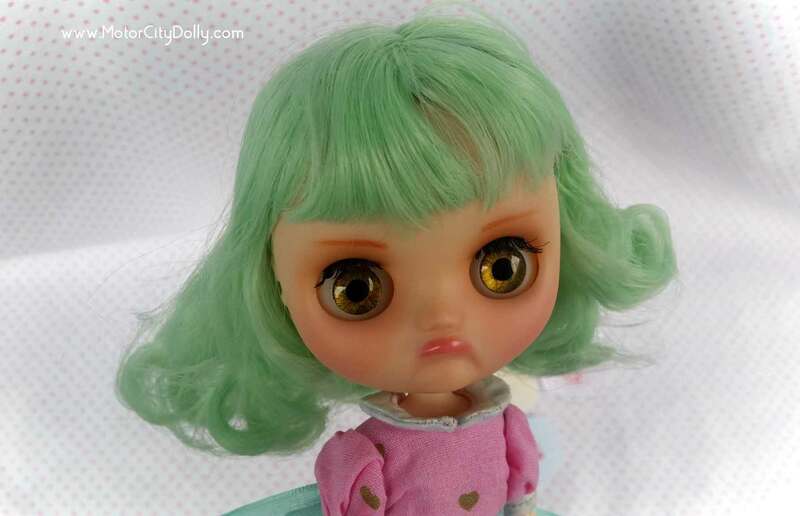 She will be further wrapped in multiple layers of bubble wrap and packed in a sturdy cardboard box. 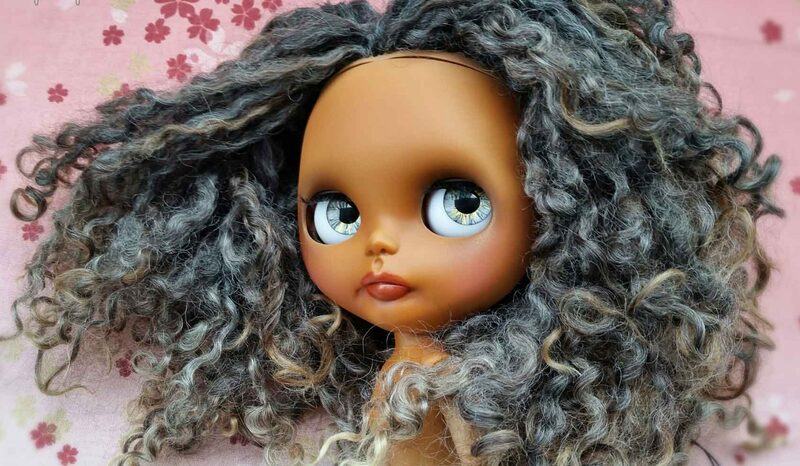 -Shipping is free for U.S. buyers and discounted for overseas buyers.